Curious to see what we can do for you? 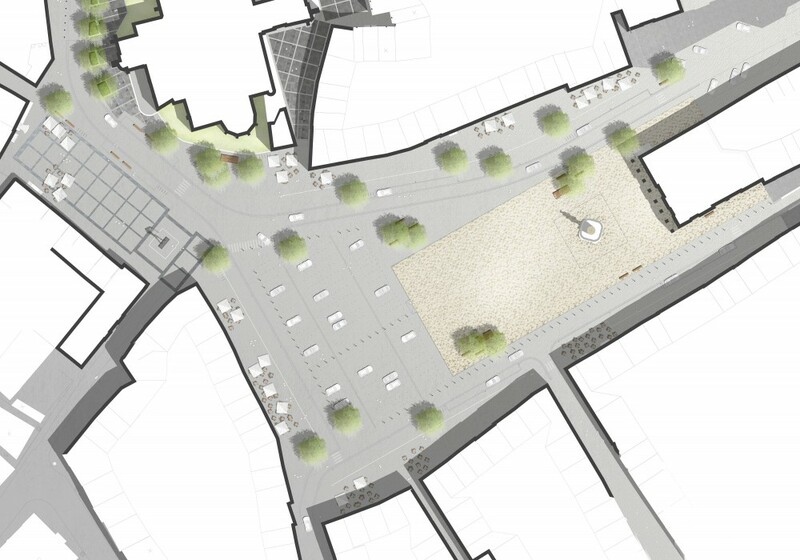 The intervention reorganised the main square and the public areas surrounding it. The central element of the main square is a ‘flemish carpet’ of natural stone, organised in abstract patterns. It is strategically aligned with the axis of the prominent city hall and the historic fountain. The beautiful French limestone puzzle consists of 27 kinds of tiles in 9 different sizes and three different textures (bush hammered, flamed, finned), coming from the quarries of Comblanchien, France. The relatively close origin of these tiles contributes to the sustainability of the new square finishing. 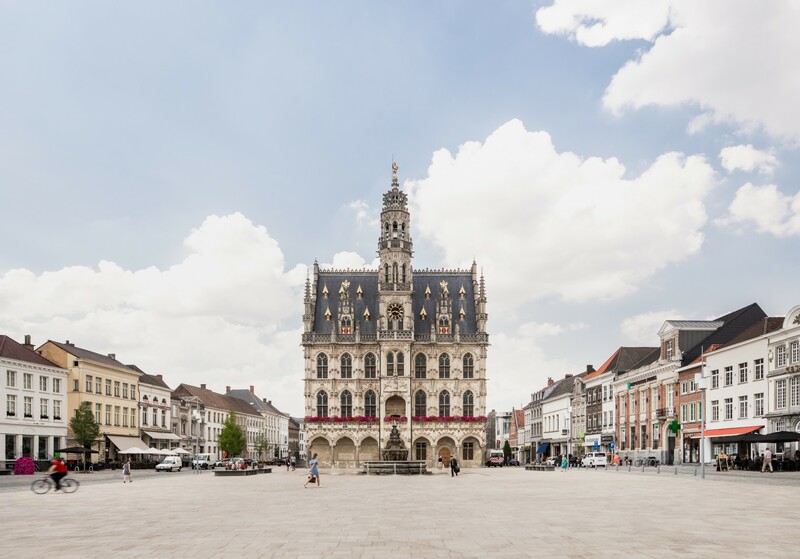 The fountain, donated by Louis XIV to the city of Oudenaarde, was restored and crowned to be the antagonist to the flamboyant city hall. To emphasize its importance, an alternating water ‘mirror’ with fountains and artificial misting was created around the restored fountain. 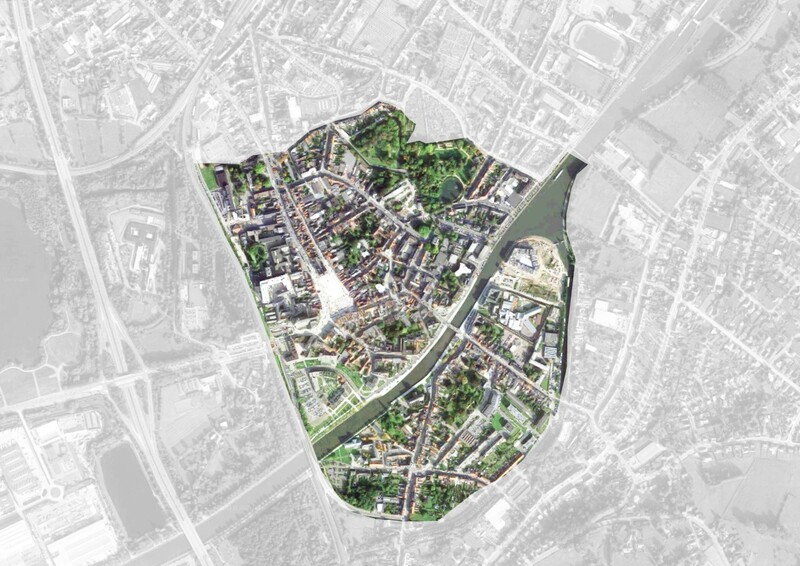 The water features around the fountain and the reposing places with trees, benches and raised platforms would make the central areas of the Markt into a more representative but playful meeting area, surrounded by terraces of bars and restaurants. The Kleine Markt has a more intimate atmosphere with several seating areas.